Multi-colored gold ring which incorporates details from a Tibetan Mandala. The huge Mandala sand paintings always have an outer border that represents the basic elements of the Universe (Air, Water, Earth and Ether). 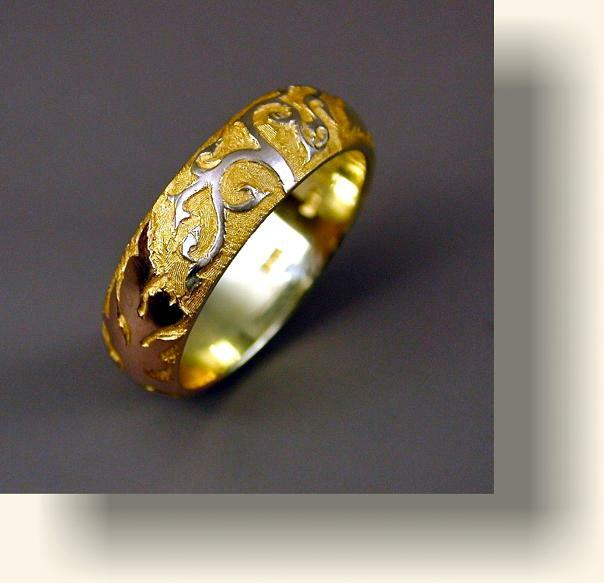 This was done with four different trapezoid-like gold sections (white, yellow, red and green).